EUR was supported by the Spain Unemployment rate. 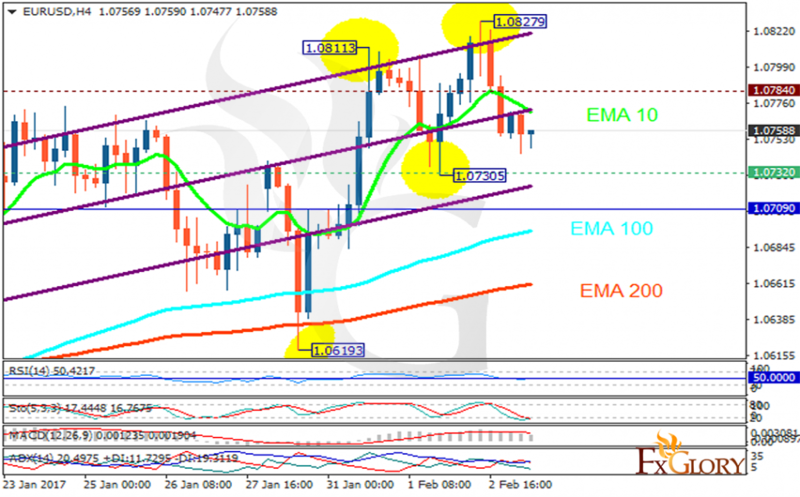 The support rests at 1.07320 with resistance at 1.07840 which both lines are above the weekly pivot point at 1.07090. The EMA of 10 is moving with bearish bias and it is above the EMA of 100 and the EMA of 200. The RSI is moving on the 50 level, the Stochastic is moving in low ranges but the MACD indicator is in positive territory. The ADX is showing sell signal. The support level breakthrough is a good signal for sellers to target 1.0600 otherwise the pair will grow to 1.8050.